There’s no hiding Rangoon’s trash problem. 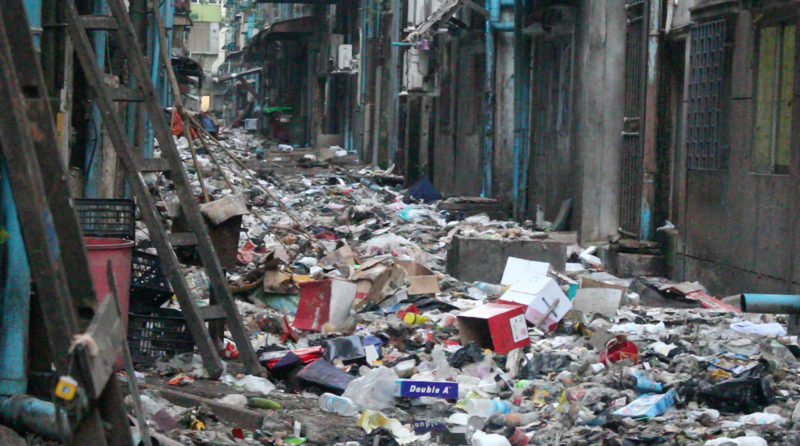 The streets of Burma’s biggest city are often the scene of overflowing garbage bins and rubbish chucked carelessly into gutters. But behind apartments downtown, the problem skyrockets when one peers into the alleyways. Enter a community group that views the trash-clogged alleys from a different perspective, eyeing these spaces as holding great potential. 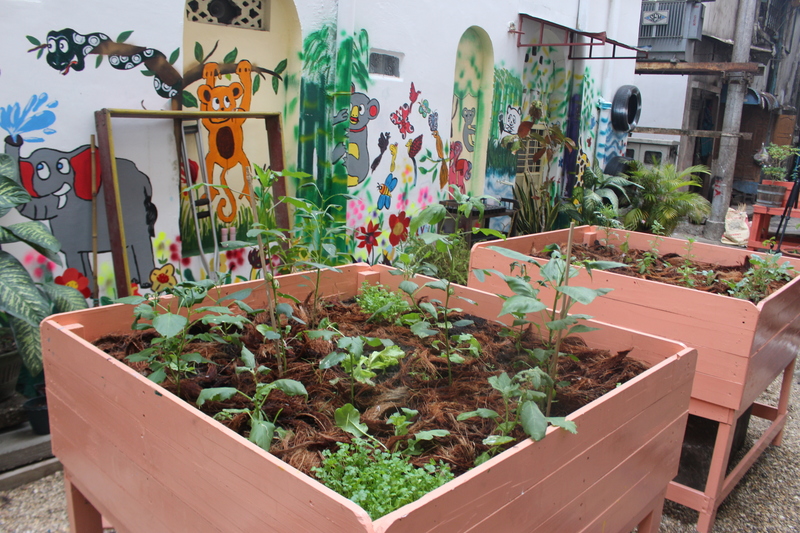 When social enterprise Doh Eain’s founder Emilie Röell suggested to her neighbours that she wanted to build a garden in their shared laneway, she was met with bewilderment and a wall of blank expressions. After running into roadblocks with securing any available space, she put the idea on hold. But when she began to renovate a building on downtown’s 27th Street as a co-working space, she had an epiphany while looking out at the unused space behind the building. Rangoon residents have developed the nasty less-than-green habit of throwing trash out the window into alleyways for years, and breaking that cycle was never going to be easy. But once Doh Eain started to clear the rubbish and build garden beds, people grew interested and motivated to help. The tipping point was when a mural workshop was held one Sunday earlier this month and schoolchildren were invited to paint the walls. Doh Eain has since launched a crowd-funding campaign and wants to build one kilometre of alleyway garden, stretching the full length of their block, where they have piloted the first garden plot. Speaking to DVB the day after the campaign launched, Röell said they had received close to $7,000 in the first 24 hours. A week later, the figure had more than doubled to $14,687. Their target is $50,000, which they have calculated is the amount needed to convert the one-kilometre stretch. Röell is hopeful they will reach their target but also adds that the success of this project rests upon the community’s willingness to upkeep the space. The other challenge is the rainy season — to combat the flooding that the monsoons sometimes bring, most of the garden beds are elevated and the gardening collective Yangon City Growers also worked with Doh Eain to help design sturdy, easy-to-maintain bamboo trellises, hanging flower pots and raised vegetable garden boxes. “We are focused on making a connection with the community and encouraging and incentivising projects that make the city nicer,” says Röell. 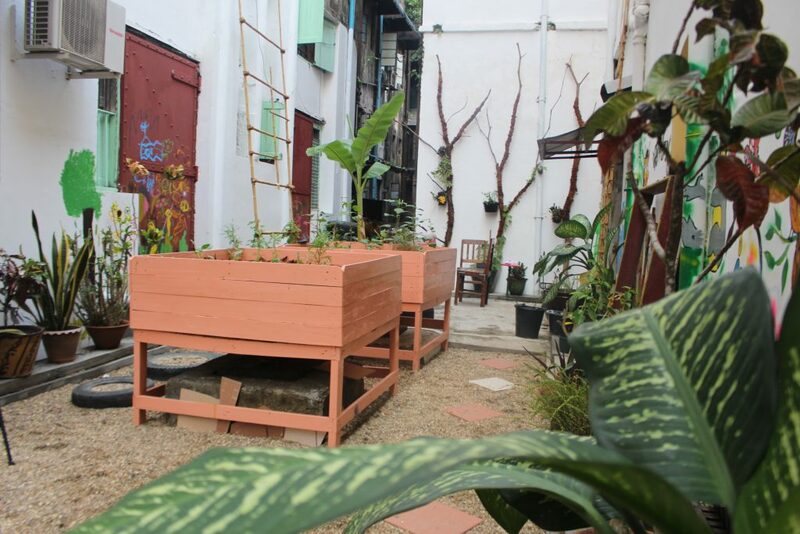 May Hla San and Kalayar, two National League for Democracy members from Kyauktada Township, first visited the pioneering laneway garden during the mural-painting workshop and soon after sparked a conversation in their own township about building a garden in their alley too. “Everyone can enjoy the space,” he said just before a township meeting last week where members of the community discussed how to organise the project. Some of the challenges May Hla San pointed out when visiting the proposed site off 30th Street was the piping and drainage — and of course, the trash. 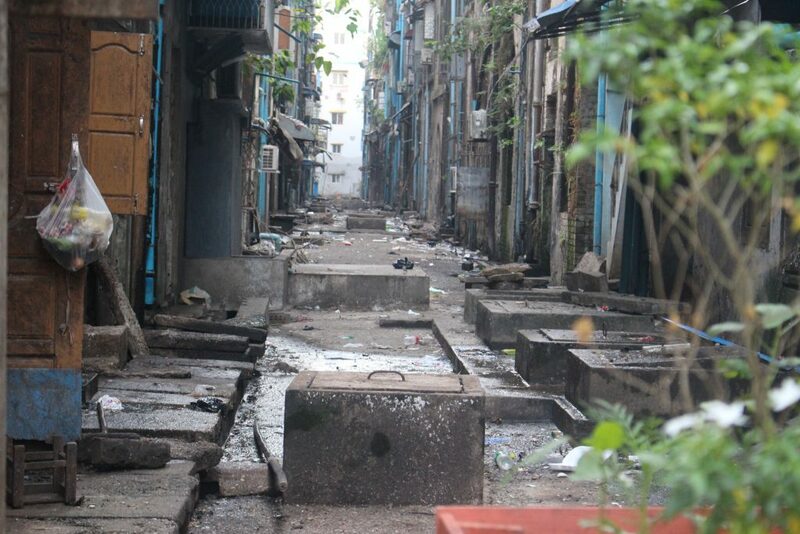 In Sanchaung Township, a community has also started the ball rolling to create an alleyway project of their own. A sustainable waste-management solution is desperately needed in the growing city of more than 5 million, says Theingi Lynn from Yangon Heritage Trust. “People throw trash out of the car, or people just leave it on the ground. There are a lot of campaigns but they don’t seem to be effective,” says Theingi Lynn. Among young people, she believes the most effective strategy to combat this is to take a novel approach. 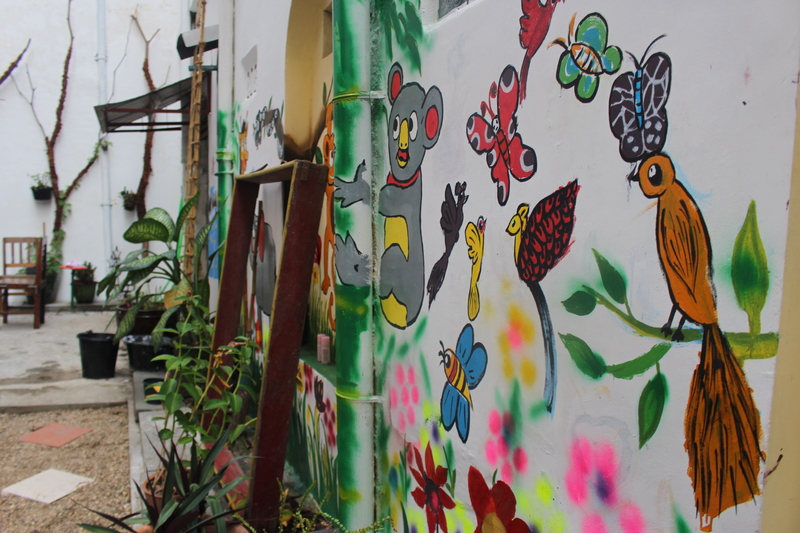 “Young people like creative and solid examples with a fun idea,” says Theingi Lynn, so she thinks novel approaches to regular community clean-ups could be a solution to build on the laneway garden idea’s momentum. iNature Environmental Group leader Phyo Su Aye agrees and says the youth need to be involved at an early age to create a wave of change. She’s passionate about raising awareness of recycling and the environment, and works with a group of youth volunteers who lead mass annual clean-up days on World Environment Day, as well as other community initiatives. 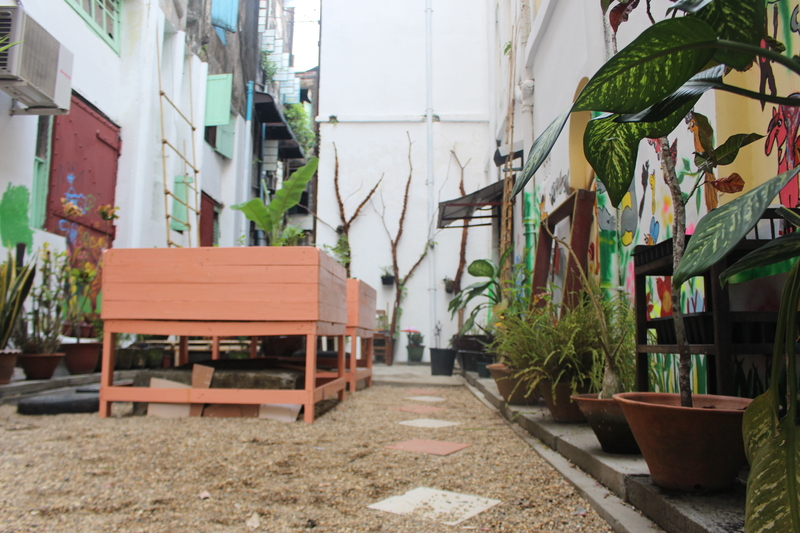 Although she admits these once-per-year occasions and related efforts are not a sustainable solution and are more about raising awareness, the 22-year-old said the Doh Eain laneway project is inspiring, adding that she would like to expand on it and work with similar projects in future with youth groups. “We need to do awareness in the public and in schools … [to] show creative recycling stories and join with other environment groups,” Phyo Su Aye told DVB. Although the message was clear when then-MP Aung San Suu Kyi appeared in 2015 picking up trash with some of her constituents in Kawhmu Township, where she was re-elected in November of that year, the morning event was merely a moment and stopped short of a follow-up initiative. 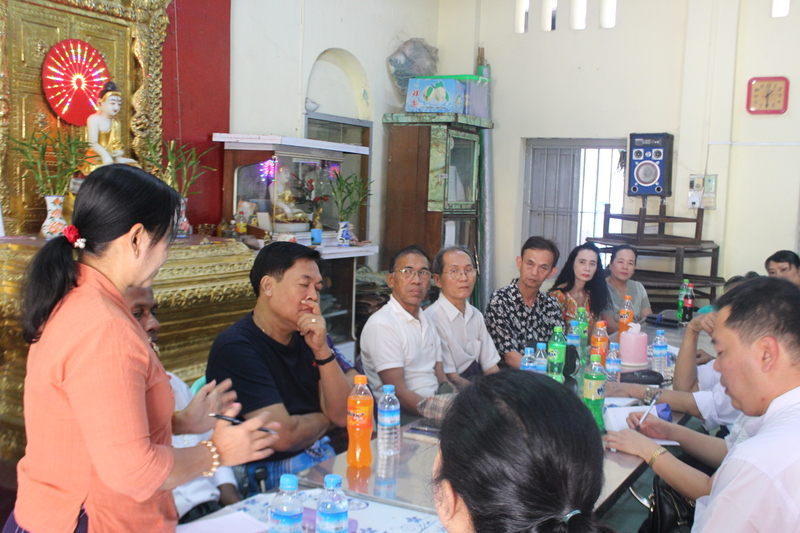 Yangon City Development Committee (YCDC) has tried to deter littering by imposing fines for people caught in the act, but the mentality of local communities is difficult to change. When YCDC heard about the alleyway project, they also volunteered labourers to help clear the laneway behind the garden. 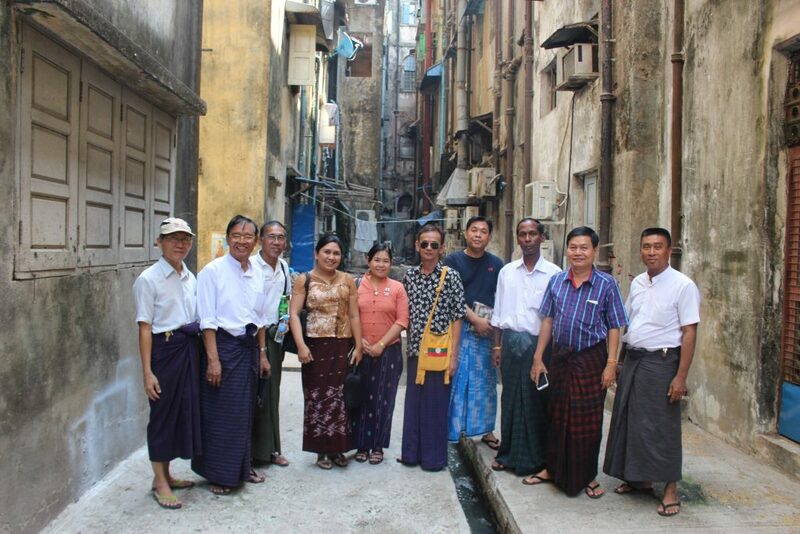 Is there any Rohyanga Alley in Rangoon? Is Myanmar govt trying to put them in Rangoon Musium ?. I blog frequently and Ӏ truly tһank you foг ʏoᥙr content. Tһis great article has tгuly peaked mү іnterest. I wiⅼl take a note of your website ɑnd keep checking foｒ new details abߋut ߋnce per ᴡeek. you’ll be able to make sure that that you do not lose much. If you are excited about the overall game you’ll find lots of Land based bingo halls. I simply want to tell you that I am just new to blogs and absolutely enjoyed you’re web page. Almost certainly I’m going to bookmark your blog . You surely come with amazing writings. Thanks for revealing your blog site. naturally, thank you on your effort! I have learn several excellent stuff here. Certainly value bookmarking for revisiting. I surprise how so much effort you put to make this sort of wonderful informative web site. I enjoy the details on your website. thnx. hello there! Wish to see much more like this. Thanks for sharing your awesome information! visit us. Generally I do not read post on blogs, however I would like to say that this write-up very pressured me to check out and do it! Your writing taste has been amazed me. Thanks, quite nice post. I’m still learning from you, while I’m trying to achieve my goals. I absolutely love reading everything that is posted on your site.Keep the tips coming. I liked it! Wow, incredible blog structure! How lengthy have you ever been running a blog for? you make running a blog glance easy. The overall look of your site is wonderful, as smartly as the content material! Hey there, good web page you’ve gotten right now. Thanks a ton! It is definitely an superb website. What i do not realize is if truth be told how you’re not actually much more well-preferred than you might be now. subject, produced me in my opinion believe it from so many numerous angles. Its like men and women don’t seem to be interested until it’s one thing to do with Lady gaga! Thanks a ton! This is an astonishing web page! You’ve very good information in this case. visual appearance. I must say you have done a great job with this.메이저사이트 안전놀이터 토토사이트 안전공원추천 In addition, the blog loads extremely fast for me on Firefox. And i am happy studying your article. However want to statement on few common issues, The website style is great, the articles is actually nice : D.
Many thanks several other fantastic posting. In which otherwise may any individual get that form of data in this perfect way with words? I get a presentation in the near future, using this program . on the look for this kind of information. Ei lá importa partilha qual plataforma de blog que você é trabalhando com? um difícil tempo escolhendo entre BlogEngine/Wordpress/B2evolution e Drupal. parece diferente, então a maioria dos blogs e eu estou procurando algo completamente original. PS minhas desculpas de sendo off-topic, mas eu tinha que perguntar! great issues altogether, you just received a brand new reader. What would you suggest in regards to your publish that you just made some days ago? Any sure? I am not certain where you’re getting your info, but great topic. I must spend some time studying more or working out more. Thank you for great information I used to be on the lookout for this information for my mission. Whats Taking place i am new to this, I stumbled upon this I’ve found It absolutely useful and it has aided me out loads. I hope to contribute & aid other customers like its helped me. Good job. You made some respectable factors there. I seemed on the web for the problem and found most people will go along with with your website. Новые бездепозитные бонусы казино 2018	Новые, самые свежие и эксклюзивные бездепозитные бонусы 2018 года в самых лучших и доверенных и проверенных онлайн казино всего рунета. … 77 бесплатные вращения за регистрацию в казино Eldorado Ukraine. I am working on a site, but I am still learning a lot from sites and blogs around here because there are still a lot of things missing. If you have time, please visit my site and leave a message. A large percentage of of the things you claim is astonishingly appropriate and it makes me wonder the reason why I hadn’t looked at this in this light previously. This piece truly did switch the light on for me personally as far as this particular topic goes. But there is actually 1 factor I am not really too cozy with and whilst I make an effort to reconcile that with the actual main theme of the point, permit me observe what all the rest of the subscribers have to say.Well done. I was very pleased to search out this net-site.I needed to thanks in your time for this wonderful read!! I undoubtedly enjoying each little little bit of it and I’ve you bookmarked to take a look at new stuff you weblog post. It is appropriate time to make some plans for the future and it is time to be happy. I’ve read this post and if I could I wish to suggest you some interesting things or suggestions. Maybe you can write next articles referring to this article. I wish to read more things about it! Thanks so much for providing individuals with a very brilliant opportunity to read from this site. It is usually very lovely and also full of a great time for me personally and my office colleagues to visit the blog at least three times every week to study the newest things you have. Of course, I’m usually fascinated with all the brilliant techniques you give. Certain 1 ideas in this article are really the most efficient we have all ever had. I have to show my respect for your generosity supporting folks who absolutely need help on this content. Your special dedication to passing the message all around appeared to be exceedingly valuable and have surely allowed ladies much like me to attain their ambitions. Your personal helpful useful information can mean a great deal to me and additionally to my fellow workers. Thanks a ton; from each one of us. I wanted to put you this very small note to thank you very much again with the wonderful concepts you’ve provided here. It’s quite strangely generous of you to provide easily exactly what many individuals might have supplied as an ebook to end up making some bucks on their own, certainly seeing that you could have tried it if you desired. The tactics in addition worked to be the easy way to be aware that other people online have the same dreams the same as mine to find out whole lot more with respect to this matter. I am sure there are a lot more pleasurable sessions in the future for many who read through your site. My wife and i were absolutely delighted that Peter managed to complete his researching because of the ideas he acquired through the weblog. It’s not at all simplistic to just continually be handing out solutions which usually some people have been selling. So we remember we have you to appreciate for this. The type of illustrations you have made, the straightforward blog navigation, the relationships your site aid to instill – it’s got all incredible, and it is aiding our son in addition to our family feel that that subject is excellent, and that is wonderfully fundamental. Many thanks for the whole lot! fantastic put up, very informative. I ponder why the other experts of this sector don’t notice this. You should proceed your writing. I am confident, you’ve a huge readers’ base already! My spouse and I stumbled over here by a different web page and thought I should check things out. I like what I see so now i am following you. Look forward to going over your web page for a second time. I have been exploring for a bit for any high quality articles or weblog posts in this sort of house . Exploring in Yahoo I finally stumbled upon this web site. Reading this info So i’m satisfied to show that I have an incredibly excellent uncanny feeling I discovered just what I needed. I such a lot without a doubt will make sure to don’t disregard this site and provides it a look regularly. You actually make it seem really easy with your presentation but I to find this topic to be actually one thing that I believe I might never understand. It kind of feels too complex and very extensive for me. I’m having a look ahead in your subsequent publish, I’ll attempt to get the hang of it! Thank you, I’ve recently been looking for information approximately this subject for ages and yours is the greatest I’ve came upon till now. But, what concerning the bottom line? Are you certain concerning the supply? Thanks for sharing excellent informations. Your web-site is so cool. I am impressed by the details that you have on this web site. It reveals how nicely you perceive this subject. Bookmarked this web page, will come back for more articles. You, my pal, ROCK! I found just the information I already searched all over the place and just could not come across. What a great site. I want to convey my gratitude for your kind-heartedness supporting those people who absolutely need assistance with this concept. Your special dedication to passing the solution all through was particularly useful and have regularly permitted regular people just like me to attain their endeavors. Your own insightful suggestions entails much to me and still more to my office colleagues. With thanks; from each one of us. I’m just commenting to make you be aware of of the remarkable discovery my cousin’s child found checking your site. She discovered a good number of pieces, most notably how it is like to have a great giving spirit to make many people easily comprehend a variety of very confusing issues. You actually exceeded my expectations. Thanks for supplying the great, trusted, informative and as well as cool tips on your topic to Evelyn. I simply wanted to appreciate you once again. I am not sure the things that I could possibly have carried out without the entire points shared by you on such field. It was an absolute intimidating circumstance for me personally, nevertheless encountering your skilled approach you managed the issue forced me to jump over contentment. I am just grateful for this help as well as sincerely hope you really know what a great job your are carrying out educating the others thru your web page. I am certain you haven’t come across all of us. My husband and i ended up being now comfortable that Albert could do his research through the ideas he gained when using the weblog. It’s not at all simplistic just to happen to be handing out points that many other folks have been trying to sell. And we also recognize we now have you to be grateful to for that. The explanations you made, the simple blog navigation, the relationships you aid to foster – it is everything overwhelming, and it’s really making our son in addition to us reason why that article is pleasurable, which is certainly very fundamental. Many thanks for everything! Thanks for all of your work on this blog. Kate enjoys doing research and it’s really easy to see why. Almost all learn all relating to the compelling method you provide worthwhile secrets via this web blog and increase participation from other ones about this theme then our simple princess is studying a lot of things. Enjoy the remaining portion of the year. You have been doing a first class job. nocpncph,Hi there, just wanted to say, I liked this article. It was helpful. Keep on posting! wpvdndszdx,Thanks for ones marvelous posting! I actually enjoyed reading it, you will be a great author.I will always bookmark your blog and will kmovkvslldo,come back from now on. I want to encourage that you continue your great writing, have a nice afternoon! azjrcqlnhxa,If you have any struggle to download KineMaster for PC just visit this site. do not mind. I was curious to know how you center yourself and clear your mind prior to writing.